University of South Florida shooting guard Musa Abdul-Aleem (featured on Ummah Sports in March) will finish his college basketball career at another school as the Bulls transition from one coaching staff to another. Abdul-Aleem’s playing time dwindled in the latter part of last season under then-coach Stan Heath, who had originally recruited Abdul-Aleem out of Georgia Perimeter College in 2012. While the 6-foot-5 Abdul-Aleem finished the season averaging 4.1 points, mostly as a backup, USF finished with a 12-20 overall record and were last-place (3-15) in the American Athletic Conference. Heath was fired in mid-March, and was soon replaced by former Kentucky assistant Orlando Antigua. Since then, four players from last season’s team have left the program — most recently Abdul-Aleem and rising junior Javontae Hawkins. 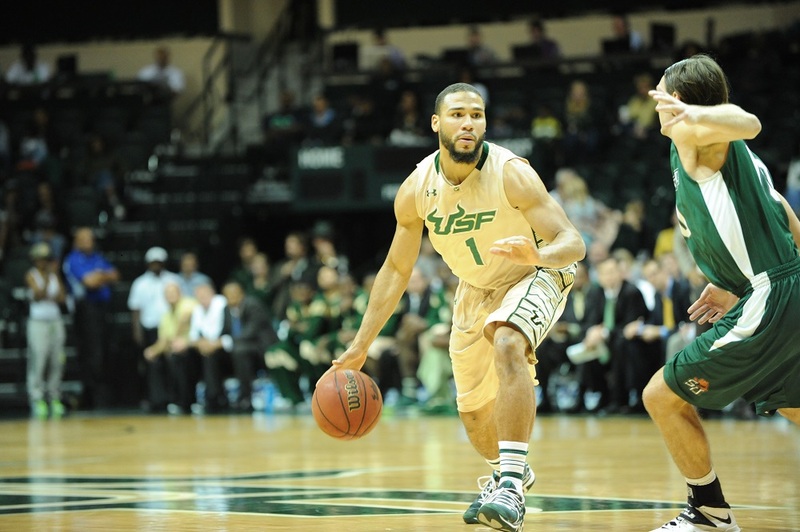 Stan Heath’s son, point guard Josh Heath, also intends to transfer from South Florida. Abdul-Aleem graduated in December with a degree in Leadership Studies. He told Ummah Sports that he has been contacted by a number of schools and has yet to make a decision regarding his next stop.